So Miss Lynn and I got a chance to take a long weekend in Las Vegas, Nevada. We spent a lot of nights at Choice Hotels during our Border to Border adventure last April and they gave us a special deal for 4 days and 3 nights in Vegas so we took them up on it. The road from Los Angeles to Las Vegas is a long and desolate road and as a youth traveling it with my parents I also considered it a very boring drive. These days however I am looking at it through an adults eyes and there are many very scenic and very beautiful mountains along the way and in its own right this road can be very relaxing. That is if you travel it on off days. (Monday to Thursday) If not this road can be crowded and slow. 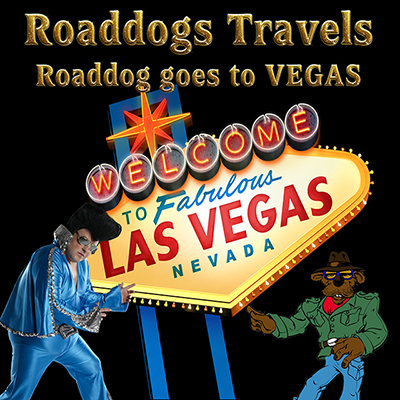 The weekends in Vegas bring thousands of people from every location for a 300 mile radius. Watch close and be cafeful as you travel this road, there are many accidents and people in their zeal to get to Vegas drive like rude maniacs. The return trip is no better because folks are in a mental fog. As I stated before this is a very desolate road but there are a few things of note. About 12 miles outside of Barstow is Calico Ghost town. This is the remains of an actual old west mining town. It is owned by the Knotts Berry Farm people so while authentic it also has enough modern ammenities to make it a first rate tourist trap. 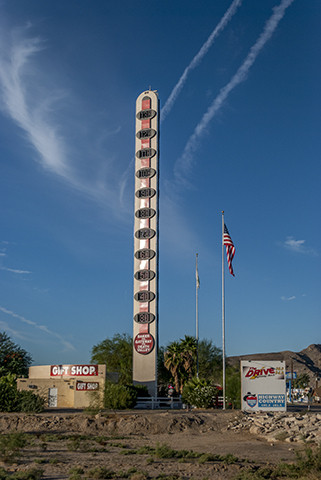 Baker is the gateway to Death Valley and it is where you will see the worlds tallest thermometer. Just before you arrive at the California and Nevada border at Prim you will pass the Ivanpah Solar Generating Station. The worlds largest. Not a long list, maybe not an interesting list but a list none the less. 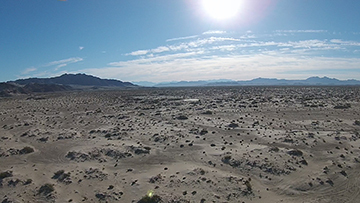 The desolation of the Mojave desert. 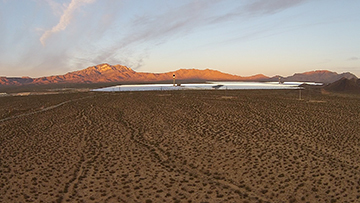 Aerial View of 2 of the 3 generating pods at the Ivanpah Solar Generating Station. It will take you between 4 and 5 hours depending on your stops and before you know it Las Vegas will be looming on the horizon. Las Vegas is a very unique town and the label of SIN CITY is well deserved. One of these days we will come back and explore some of the seedy underside of this town but sorry not on this trip. In fact on this trip we didn't even do any gambling. Instead we are going to look at some of the activities just outside of town. 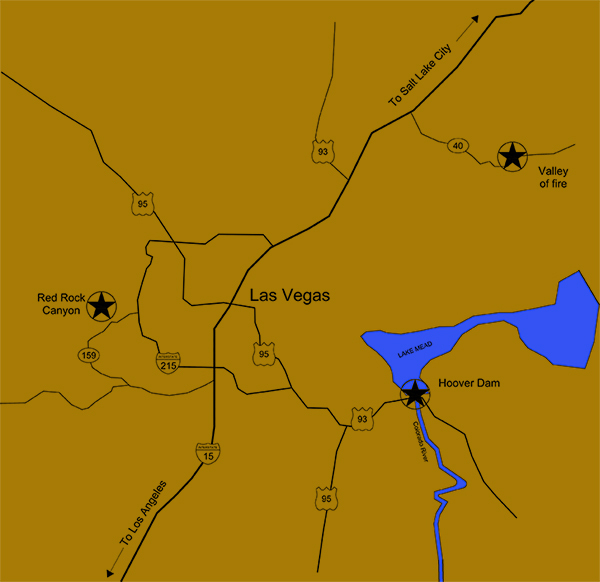 These places are the perfect daytime place to visit and all within a short drive of downtown Vegas. Click on any image below to explore more.